We offer a private secure alternative for receiving your mail and packages. This helps to prevent mail theft and fraud. We provide a street address allowing Federal Express and UPS to deliver to this address. No delay in regular mail service. We offer telephone mail check if you are not in town, or live in one of our outlying neighborhoods. 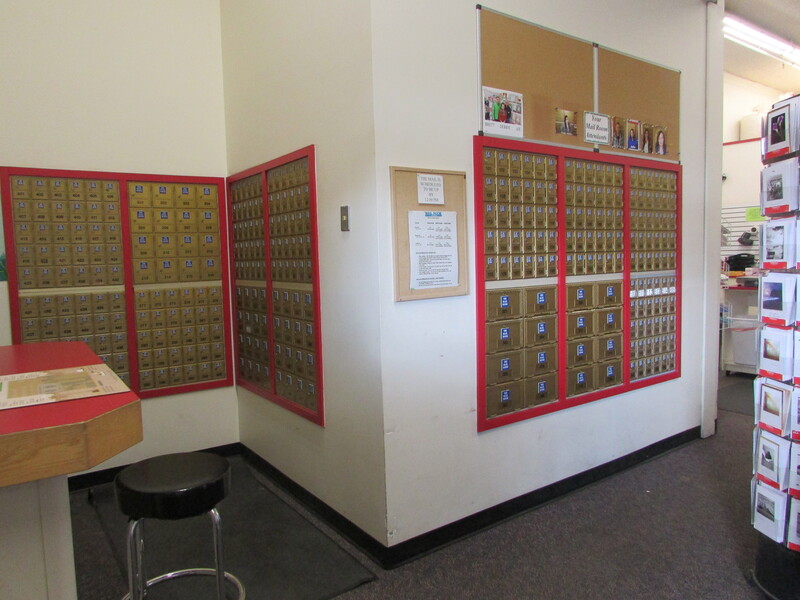 We have 24 hour access to your mailboxes available. We have 24 hour security providing utmost security for your mail and parcels. If you are a small business this allows you to have a downtown mailing address, while keeping your home address private. If you are multiple home owners, or travel extensively, we have extensive mail forwarding services. All we require is a $50 deposit and we can send your mail anywhere in the world. Three month minimum to start, then you can go month to month. Any time you pay for 6 months you will receive one month free, 12 months nets you 3 free! When opening for 3 or 6 months you will receive 100 complimentary copies, opening for 12 months gets you 200! Use of our rental computer is free to box holders (printing extra). Free notary service for large box holders. No upcharge on stamps for our box holders.